My Batteries outlast the competition, yes even Die Hard from Sears. Aventura, Coconut grove, Kendall, Doral, Pine crest, Coral gables, Homestead, Cutler ridge, we cover you. And all Broward cities. Certified .. 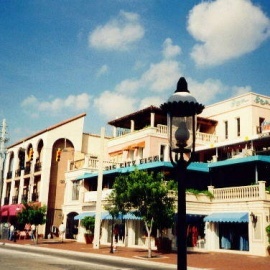 Located along the cost just south of Downtown Miami, Coconut Grove is a unique village within the city. The laid-back waterfront atmosphere is unmatched and one of the most dynamic in South Florida. Looking for things to do in Coconut Grove? You will find several attractions, fun activities, diverse restaurants, rich history, sailing, art festivals and some of the best nightlife in the Miami area. Coconut Grove nightlife is mostly centered around the CocoWalk complex but several other popular bars can be found throughout the area. The proximity to the University of Miami brings a younger and energetic crowd to some of the popular bars and nightclubs in the area. Coconut Grove restaurants are just as diverse. Whether you are looking to enjoy a quiet evening along the water or fun dinner with friends in CocoWalk, there is something for every dining experience. With plenty of shopping, dining, attractions, and events in Coconut Grove, you will it necessary to stay in the neighborhood for a few days to enjoy all that it has to offer. Wok Star Cooking Class with wine, Strato Ambienti! Join us in a celebration of mother earth and the divine feminine in a support circle with other goddesses. Glass and Vine in Coconut Grove hosts:HAVANA NIGHTEvery first Thursday of the month from 7pm-9pm Spend one night in Havana - no passport required! It’s time for a Tennis Fiesta! Join Dominic for a fun, tennis mixer to celebrate Cinco De Mayo with drills, points & match play! 2 hours of fun! Vamos! Every month, Chef Allen hosts his famous al fresco Farm-to-Table dinner in Coral Gables where he serves up a delicious five-course, plant based dinner. World’s best rum tasting experience in the Americas where you can enjoy a few hours, an entire day, or spend 2 days to immerse yourself. Miami kicks off BBQ season for the whole family back in the Grove at Peacock Park with Grillin N Chillin 2019! FREE FOR ALL!